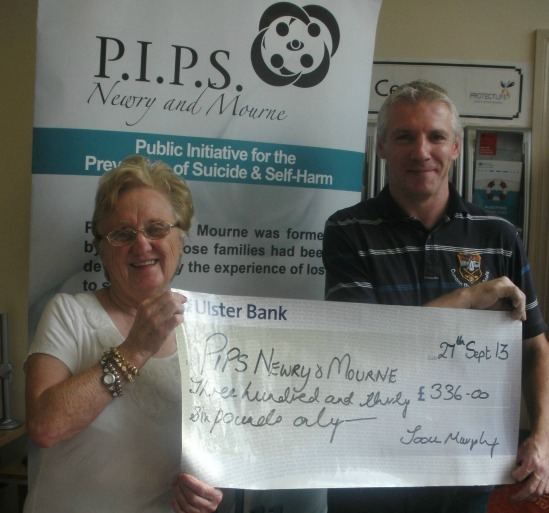 Joan Murphy presents a cheque for £336 to Kevin Gallagher of P.I.P.S. Newry and Mourne. The Run for AUTISM H.A.N.D. Group also received a cheque for the same amount. Thanks to all who contributed to the fundraising. PIPS Newry and Mourne would like to thank Joan and everyone for this kind donation.